Nava Bharathi College of Education in Hyderabad is one of the premier institutions of teacher education of Southern India. It is one of the oldest colleges conducting B.Ed program.. It aims at producing well skilled and efficient teachers. The college runs under the aegis of the Nava Bharathi Educational Society established in 1984. The reins of the society is in the able hands of Shri. 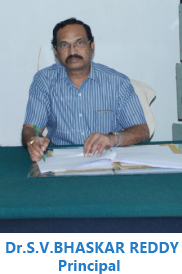 Dr. M.Madhusudhan Reddy, who is an educationist and patronised many educational institutions. The motto of the management & the Faculty of education here is on moulding the trainees in to extraordinary teachers with leadership qualities by fostering a strong spirit of commitment, sense of dedication and responsibility. The prevalent rich learning environment at the college campus facilitate extensive and inclusive opportunities to the learners of B.Ed. Set in an attractive and spacious, three acres of land, the institution has some superb facilities. The Institution has a magnificent building, spacious lawns, well-equipped laboratories and a rich library. We also have a caring, friendly Student and Teacher community and offer a variety of curricular and co-curricular experiences that contribute to the well- rounded development of teacher trainees..
Technology has broken down many barriers. It’s as true in schools and institutions as anywhere else. The classroom is global now. That means a new way of looking at the world and how we learn about it. We at Nava Bharathi college of Education provide excellent teaching- learning process to train and mould the teacher trainees to cater to the expectations of the present day society. I can say that the teachers at Nava Bharathi College of Education are aimed at developing a global and a national vision for education in the modern concept.